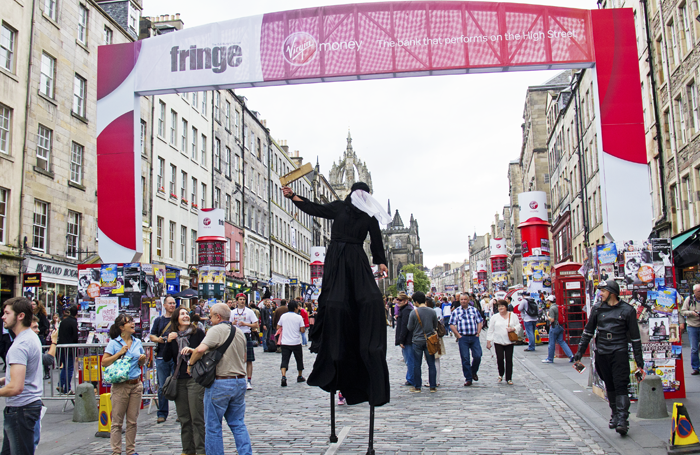 With the Edinburgh Festival Fringe about to wake from hibernation, there have been a number of threads on Twitter addressing the issue of self-care during the festival. The responses to Ava Davies’ request for advice on looking after herself were particularly helpful, and an example of social media at its most supportive. Sleep, swimming, salad and sobriety featured high on the list: all solid, sensible suggestions. Yolanda Mercy has put a self-care thread on Twitter, while producer Jake Orr and the New Diorama’s David Byrne have both written excellent guides to surviving the fringe, with a focus on kindness. The fringe encourages excess. It all but demands it. It’s easy to fall into the trap of feeling the need to see all the shows, talk to all the people, go to all the parties and drink all the drinks. This intensity is part of its appeal. Going to bed at 4am, living off falafel and beer. If you’re having a good fringe – a show you’re happy with, good reviews – few things can compare to the experience, but for many it can be overwhelming, emotionally draining and socially isolating, not to mention financially ruinous. This applies to reviewers too, who for the most part are subject to the same economic pressures as performers and makers, many in it for the sheer love of the work, at personal cost to themselves. This would all make for a heightened environment, even if we weren’t in a period of global uncertainty; when even the act of checking your phone in the morning to see what fresh hell has been unleashed in the night, is in itself anxiety-inducing. Chances are this year people will be feeling the strain even more keenly. The fringe is intoxicating. It’s the place where friendships are formed and memories are forged. It’s an invitation to stuff your eyes with art and fill your stomach with fried food. It is giddily addictive. But at the same time it’s so full on, so huge, so consuming, that while you’re in its clutches it’s very difficult to find the brain-space to consider whether there might be a better ways of going about things, more sensible ways of managing your time, more productive, healthier ways of presenting your work. This is an event that occupies a position in the industry like no other and yet we take it as a given that it will probably break us a bit, emotionally, financially, and having made this beast, we keep on feeding it. Andy Field, co-director of the Forest Fringe, has written a superb piece for Exeunt about the strange radiance of exhaustion and the insidious idea that if you’re not pushing yourself to the limit you clearly don’t care enough. Advice is so much easier to give than it is to take – I’ve been doing this for a decade and will still probably end up subsisting solely on gin and crumpets at some point during August. Also, I still own no waterproof clothing (by now a perverse point of pride). What I would say is that as vital as self-care is while you’re up there – and it is – looking out for each other is equally important. It’s easy to get caught up in your own work, your own world, your own problems. It’s easy to become blinkered, but it’s important to remember that everyone’s in a similar, if not the same, boat, subject to similar stresses. If you suspect someone isn’t coping reach out to them. Listen. Sit. Make space and time for one another. Work towards making things better. Embrace the fringe by all means but also learn how to resist it.